I have been making this bib for years! It has withstood the test of hundreds of babies. I still have wonderful friends tell me they have been passed on to a niece, nephew or dear friend and are being loved by all that use them. Sure does my little heart good! 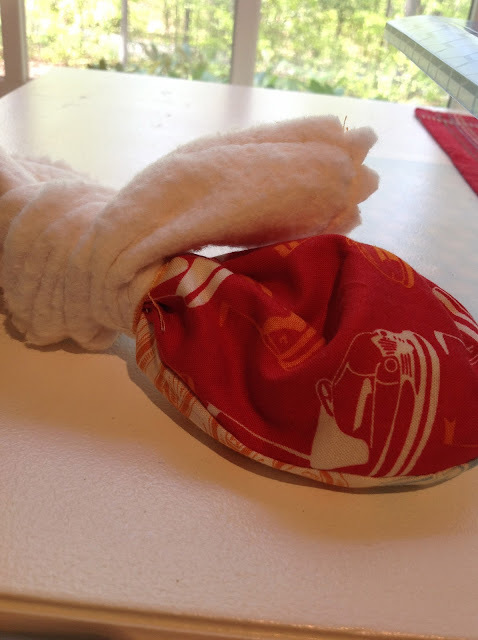 So easy to do, you will want to make them for everyone you know that is having a baby! 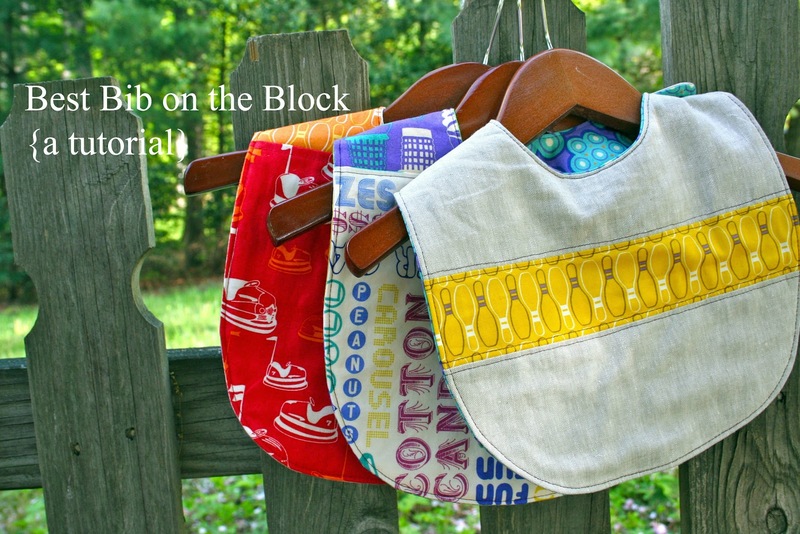 Cute , easy and reversible not to mention a fun stash basher project! The choices are endless once you have the basic method in place. 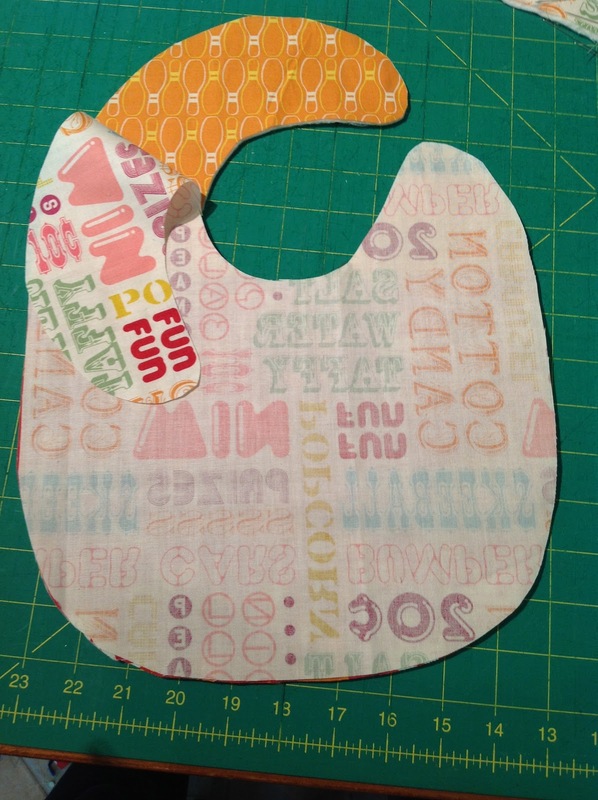 Here is the free bib pattern with an easy to follow tutorial! For a basic bib you will need two pieces of fabric 15x13. If you are doing a variation of the pattern, like the two toned bib, you will need a 7.5inx 13in top piece and a 9x13 in bottom piece. 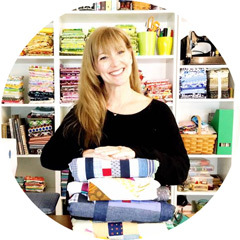 Thread, I recommend Aurifil 40wt in many colors! They are all beautiful and so strong to hold up to thousands of washings! Fastener, I use resin snaps on all my bibs. Velcro can also be used in place of snaps. 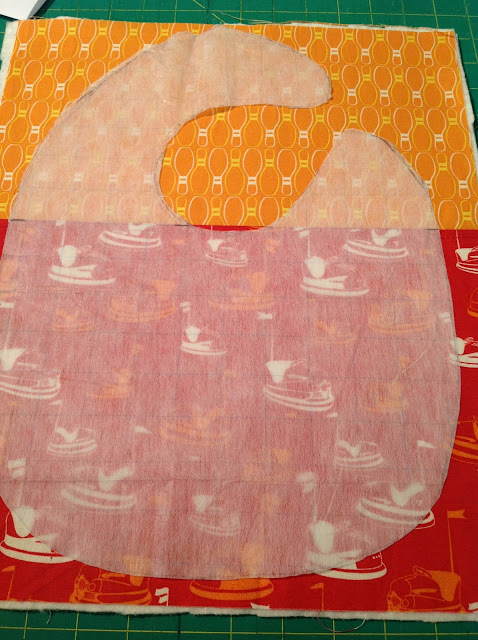 Print out the pattern pieces Part A and Part B . Line them up and cut the pattern out. For this bib I am using Thomas Knauer Asbury from Andover . 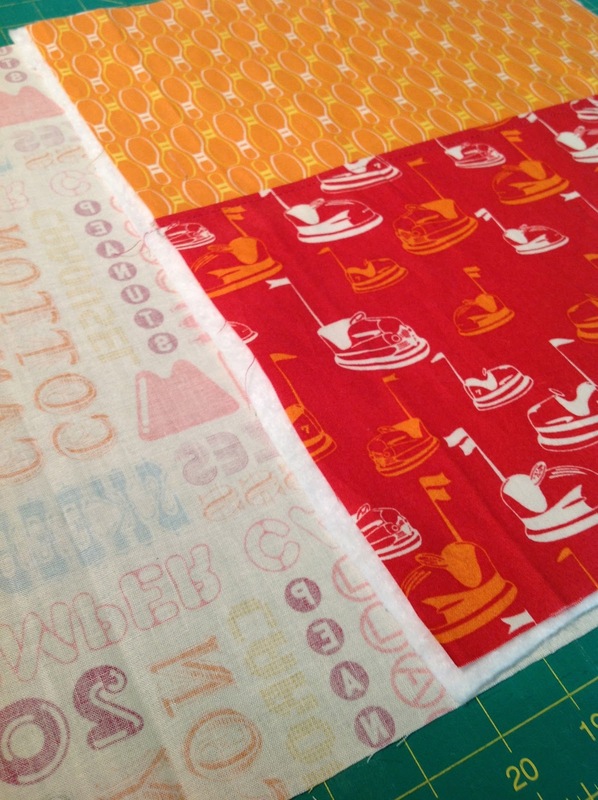 Super fun fabrics! Choose two fabrics the top here is 7.5x 13 and the bottom is 9x13. right sides facing sew together using a 1/4in seam, then press seam towards the bottom. 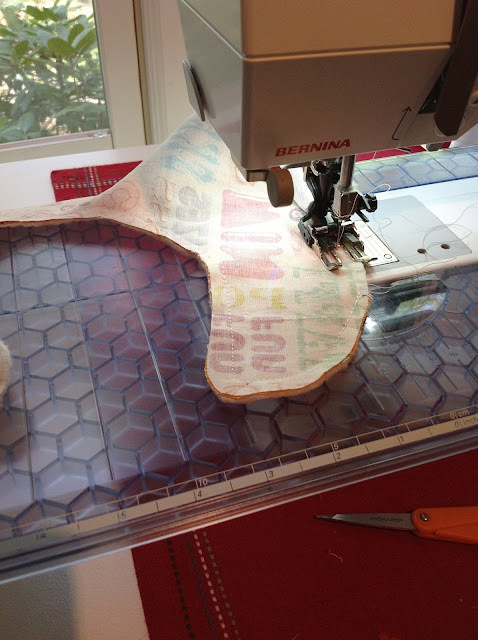 Lay your pattern on top of the sandwich, pin and cut out. 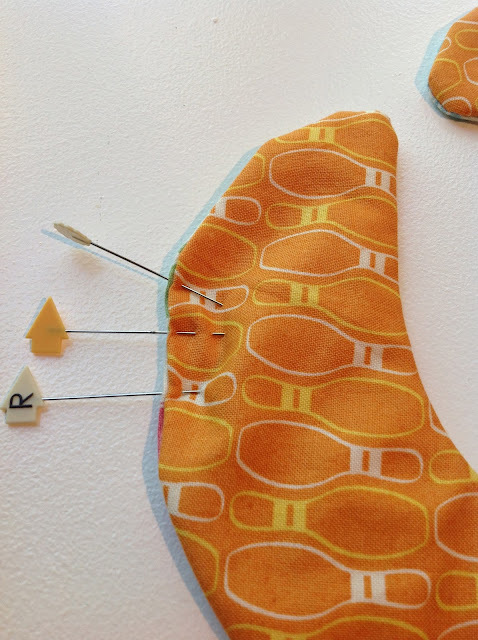 Pin and sew around the entire bib leaving a 1 to 1.5in opening at the top for turning. Back stitch at the start and end. Topstitch around entire bib using a 1/8in seam. I like using a contrasting thread for a little more fun. The only thing left to do is the closure. If you are using velcro, please follow the recommend guidelines provided on the package. If you are using snaps, there is a snap placement guide on the pattern that make this an adjustable bib or you can place them wherever it works best for your baby. 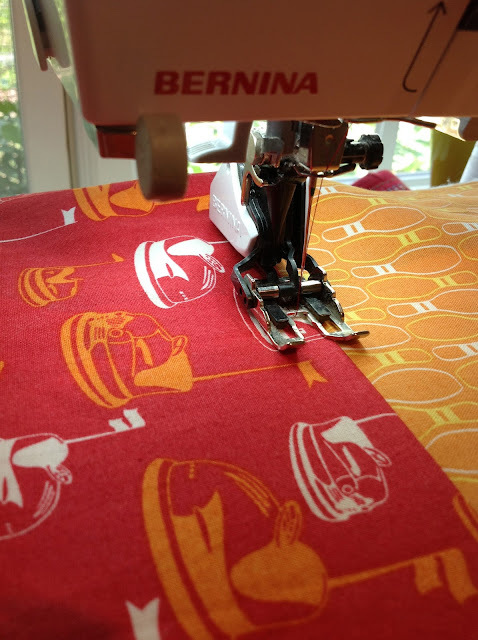 I have a standard size snap press but your local fabric store may have a hand held snap press. and let the snap press to do the work! Repeat the process for the female side and you are DONE!!!! Once you have your closure completed, your bib is baby ready! So cute! 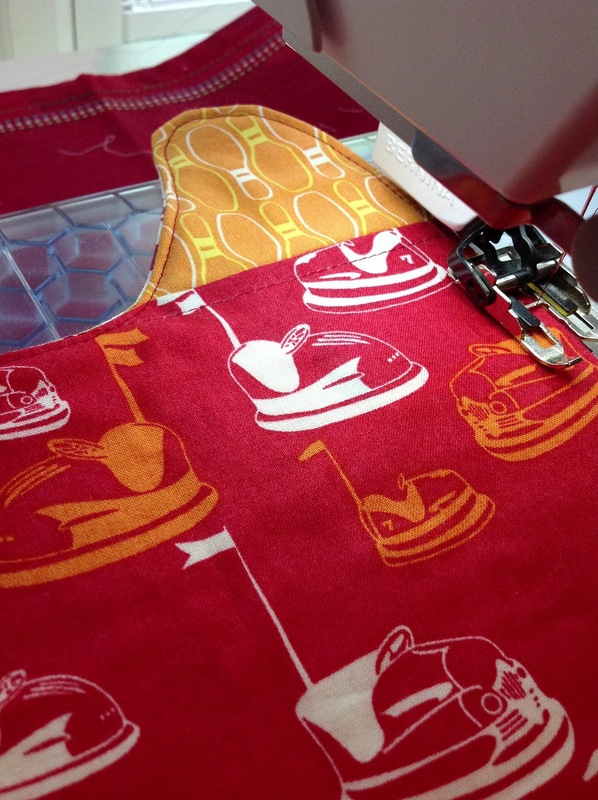 I have to find the bumper car fabric!! 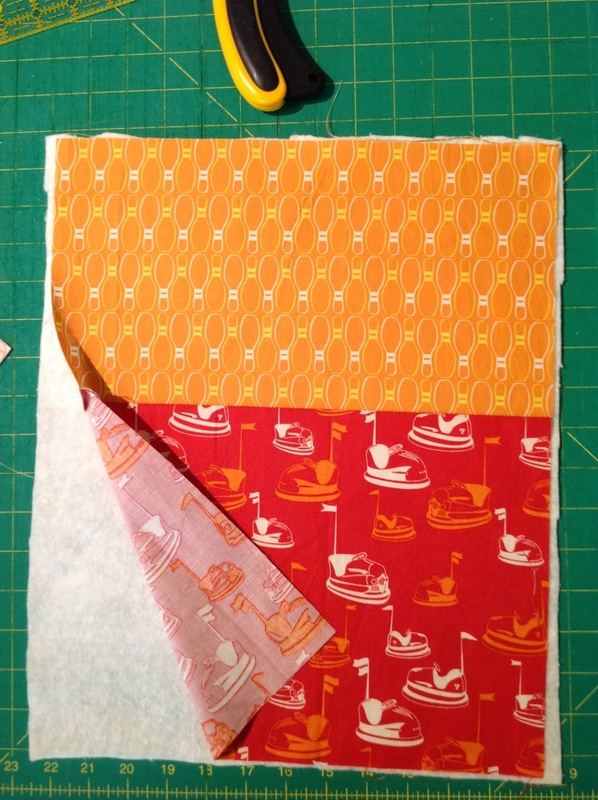 I'm making a favorite things quilts w/fabrics that remind me of trips and things from my childhood, who didn't love bumper cars! Thanks! These baby bibs are so awesome! I love the combination of the colors, it is so perfect and the design looks so simple but has a stylish side. I love this tutorial, it makes me think that making a baby bib is just so easy. Good job! That looks like the bib I made for my littles ages ago! I used Velcro instead of a snap. But I've been thinking of investing in those cute snaps and this could get me started! The bibs are always welcome to moms when there's not time to make a baby quilt!